Tell yourself you can. Focus on the positive. That’s good advice for anyone, especially for athletes who strive for peak performance on demand. But we all know how hard that kind of advice can be to put into practice. Because internal talk is heavily influenced by external factors, anxiety, doubt, and fear can creep into even the most confident mind when the pressure goes up or the criticism mounts. But negativity applied to younger psyches is even more difficult to filter out. There are plenty of articles that discuss motivation in young athletes — extrinsic vs intrinsic factors, encouragement vs criticism, fun vs fear, etc. — because beyond physical capability, the number one determining factor in athletic success over the long term is mindset. And because coaches (and teachers, and parents) exert tremendous influence over the way children think of themselves relative to the world around them, it’s paramount that people understand and use that power wisely. Over time, a negative approach — where criticism, fear, and even intimidation are used to generate short term effort — typically leads to kids tuning out, burning out, and getting out. On the other hand, a positive approach tends to help kids build the kind of internal resilience they ultimately need to be able to filter out external negativity, generate positive self-talk, and perform at peak physical capacity. According to Dr. Chris Stankovich, “Applying basic human motivation to sports, it is true that kids will respond to both inspirational messages as well as coaches who scare them (at least initially they will). Kids will often become motivated at the prospect of recognition or more playing time, and will also play hard to avoid getting ripped by the coach. One problem, however, is that kids can only stay on “fire alarm status” (constantly in fear of being yelled at by the coach for messing up) for only so long before they become apathetic, and eventually tune out completely. 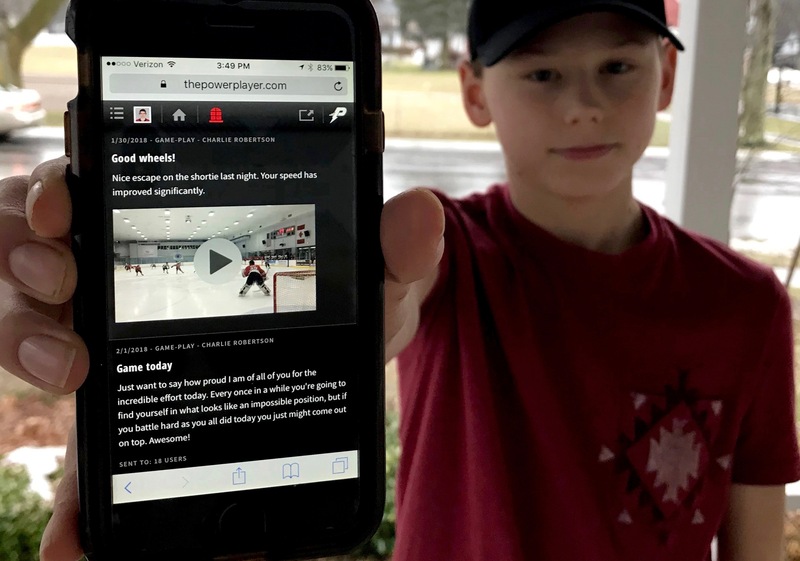 PowerPlayer is a feedback tool, designed to help coaches deliver the kind of messages that help young athletes learn to feed the right wolf themselves. The enthusiasm of coaches who are using our system, and the responses of parents when they see the positive impact those coaches are having on their kids, sure help us feed ours. For more on the impact of a positive approach to coaching, check out Positive Coaching Alliance.